the potentially confusing world of insurance. We know how to help you navigate it, and we make it simple. 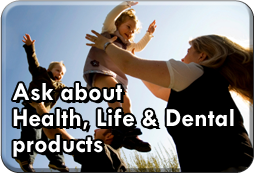 We handle all types of personal and business health insurance needs. Our firm is staffed by proven professionals committed to providing our clients with highly personalized service. Identify: Identify our clients’ unique needs and exposure to risk. We accomplish this with emphasis on quality coverage, competitive premiums, and overall simplification of insurance matters. 1) As an independent agency we help you fit insurance coverage to your unique needs, and not just buy a policy. 2) Our commitment to personal service sets the benchmark. We can even meet you at your home or business! We’re proud to serve families and businesses of all sizes and multiple generations. We look forward to the serving you.